In layman’s terms, the role may connote clerical or secretarial work in the usual sense. But the job of a company secretary is on the highest order and is crucial in many aspect of an organization. Every company must have a company secretary. The exact responsibilities of the company secretary depend on the size and nature of the organization and there is no statutory definition of what these are. The role has been described as a communicator, facilitator, arbitrator, trainer and adviser to the board of directors, the company shareholders and regulators all rolled into one. A company secretary ensures that an organization adheres with the relevant legislations, rules and regulations, and keeps the members of the board duly informed of their legal responsibilities and that they operate within the bounds of the law. Company secretaries are named representatives of their organizations on legal documents, and it is their responsibility to register and communicate with the shareholders, the investing community and the regulators. Another important function that they perform is to maintain company records. Indeed, company secretaries are the primary source of advice on the conduct of the company’s business. Increasingly, company secretaries are playing another major role – dispensing advice on corporate governance. 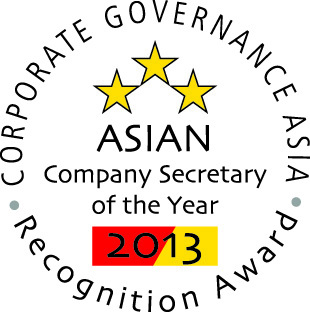 Investors view sound corporate governance as essential to the board and the company performance. They put premium to the highest standards of corporate governance and is a major parameter in their decision-making process when investing in a company. In some companies, the role of the company secretary as corporate governance adviser has been formalized with such title as chief governance officer added to their existing position and title. (4) Administration – Share option scheme, pension schemes, etc.